Hyperkalemia is a common complication after organ transplantation, that resultins from several factors, including medications. Although the exact mechanism is unclear, calcineurin inhibitors (CNI), such as tacrolimus and cyclosporin, have been hypothesized to cause hyperkalemia through inhibitory effects on the Na/K ATPases in the distal tubules and luminal potassium channels as well as over activation of the distal sodium-chloride symporter (NCC). Several non-immunosuppressive medications can also contribute to increases in potassium. These medications include angiotensin-converting enzyme inhibitors (ACEI), angiotensin receptor blockers (ARB), direct renin inhibitors, and potassium-sparing diuretics. Excretion of potassium declines due to inhibition of the RAAS pathway or a decrease in aldosterone levels leading to a reduction in the number of sodium channels and Na/K ATPase enzymes in the collecting tubules. 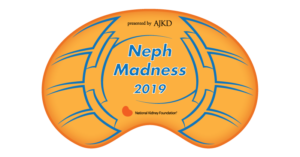 Other medications, such as sulfamethoxazole-trimethoprim and pentamidine, are often used post-transplant and can contribute to hyperkalemia by competitively inhibiting sodium channels in the distal nephron. For rapid management of hyperkalemia, insulin, glucose and calcium remain the gold standard. Intravenous calcium is administered to stabilize the cardiac membrane potential. Administration of glucose and insulin shifts potassium ions into cell. These shifts can also occur upon administration of bicarbonate or beta-2-agonists, although this effect takes much more time. In patients with preserved kidney functions, thiazide or loop diuretics allow for increased urinary excretion of potassium. Sodium polystyrene sulfonate (SPS): acts as a non-absorbable, nonselective cation binder that exchanges sodium for potassium. It has a large capacity for binding to potassium, but also binds to calcium and magnesium, which can lead to potassium overcorrection, hypocalcemia, or hypomagnesemia (5). FDA recommendations include separating administration of SPS and other medications by at least 3 hours, or 6 hours in cases of gastroparesis. Although effective, SPS has gastrointestinal side effects, the most severe of which is bowel necrosis, which occurs more frequently in postoperative, dialysis, and transplant patients. Due to these issues, sodium polystyrene sulfonate is not an ideal agent within the first month of transplantation. 2. 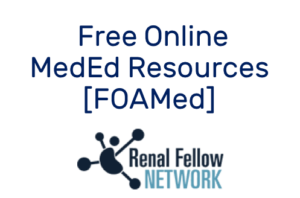 Fludrocortisone: an exogenous mineralocorticoid, has also proven effective for managing hyperkalemia. Mineralocorticoids facilitate sodium resorption and promote potassium excretion at the level of the distal renal tubule, hence its potential for use in management of hyperkalemia. Fludrocortisone has proven efficacy for management of tacrolimus-induced hyperkalemia. Side effects of fludrocortisone include hypernatremia, fluid retention, osteoporosis, hyperglycemia, and hypertension. However, fludrocortisone does offer the benefit of having minimal drug interactions and ease of administration. 3. Patiromer: a non-absorbable sodium-free polymer, exchanges potassium with calcium and was approved by the FDA in October 2015. It provides a more favorable gastrointestinal side effect profile when compared to SPS, but is also a nonselective cation exchanger that may cause hypokalemia and hypomagnesemia. Because patiromer binds to many cationic medications, FDA labeling indicates that this agent should not be administered within 3 hours before or after other medications, allowing adequate time for stomach content to pass. There is little data on how patiromer or SPS can affect the absorption of immunosuppressive agents, and inconvenient administration timing makes them less attractive options. Patiromer is generally well-tolerated and can lower potassium levels within hours after a typical starting dose of 8.4 g. This decrease continues for up to 48 hours in a dose-dependent manner (9). 4. Sodium zirconium cyclosilicate (ZS-9): a non-absorbed selective cation binder, was approved by the FDA in May 2018 and works by exchanging potassium for sodium and hydrogen. Mean serum potassium reduction with an initial 10 g treatment dose was 0.7 mEq/L at 48 hours, with a greater reduction when patients had higher pre-treatment potassium levels. Co-administration of ZS-9 and other pH-dependent drugs should be avoided for at least 2 hours due to the potential for a transient increase in gastric pH and alteration of drug solubility. While there is no evidence of drug-drug interactions with ZS-9 and tacrolimus, its suspected effect on tacrolimus absorption is minimal. In addition, there was no in vitro interaction between ZS-9 and cyclosporine. Managing hyperkalemia after organ transplant can often be a barrier to patient discharge. Initiation of immunosuppressants and antimicrobials post-transplant can significantly affect potassium levels. The addition of newer potassium binders to the market may allow for safer options to treat asymptomatic hyperkalemia. However, there are little drug-drug interaction studies between these drugs and immunosuppressants. Inconveniences in administration may also limit their use in the transplant population. In my opinion, one of the best choice is to add thiazide in the treatment of the patients to reduce the risk and severity of hyperK mainly if they had tacrolimus as treatment. Thiazide are efficient to treat hypertension (90% of transplant patient are hypertensive).